We are delighted at another successful year of continued growth in the global MindGenius user-base. This, combined with high attendance at, and positive feedback from our popular webinar series, has highlighted the need for us to work more closely and in more collaborative ways with our users to help them realise the full potential of MindGenius. As a result, we are happy to announce the appointment of Jamie MacDonald, a highly experienced trainer, facilitator and coach, to head up the client development department. The range of client development services will include training, both online and onsite, webinars and tailored workshops, and implementation services all geared to help users make the most out of MindGenius and receive optimum return on their investment in the software. So if you want to learn how to effectively capture and utilize ideas in your organization, keep the momentum between Brainstorming sessions and action, or effectively implement improved project planning mechanisms, we will have a solution to help. Of course, you may have specific requirements in your organization and we can create bespoke courses and interventions to suit. 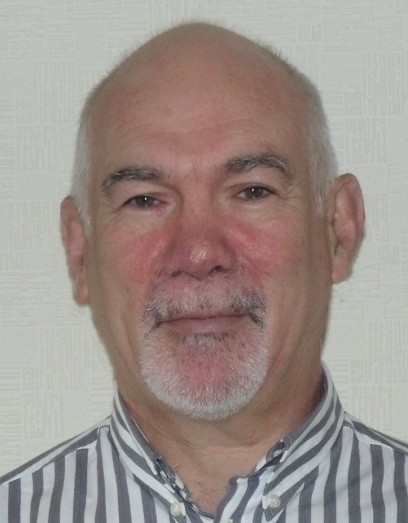 Jamie brings over 20 years’ experience in training, development, HRM and business improvement. He has a broad working knowledge of strategic planning, business process improvement, change management, business growth and people and organisational development and has personally fronted training events, workshops and larger business process improvement projects within numerous major UK and international organisations, UK Councils, and many other private SMEs - working closely with CEOs, Board members, and senior management, as well as staff at all levels. Get in touch with Jamie either via the comments below or at jamiem@mindgenius.com, with your specific requirements or suggestions on how we can develop and improve the MindGenius client development offering. Get work off to the right start in the New Year with the MindGenius webinar series. Initially we will be running additional sessions on an Introduction to MindGenius 4, an Introduction to Project Planning with MindGenius and MindGenius for Consultants, however this will be expanded to include more diverse topics so please get in touch via the comments below if you have any areas you would like to see us cover. The webinars aim is to help users make the most out of MindGenius and discover functionality they may not be familiar with. They are free to attend, you will have the opportunity to ask questions during the session, and are ideal for both new and existing users of MindGenius. “I do hope you'll run more of these. I've had MindGenius for a few months now, but haven't used it much. I had no idea it could do all you showed. I will definitely be using it much more now!" The MindGenius Version 4 Map Viewer is now available to download. 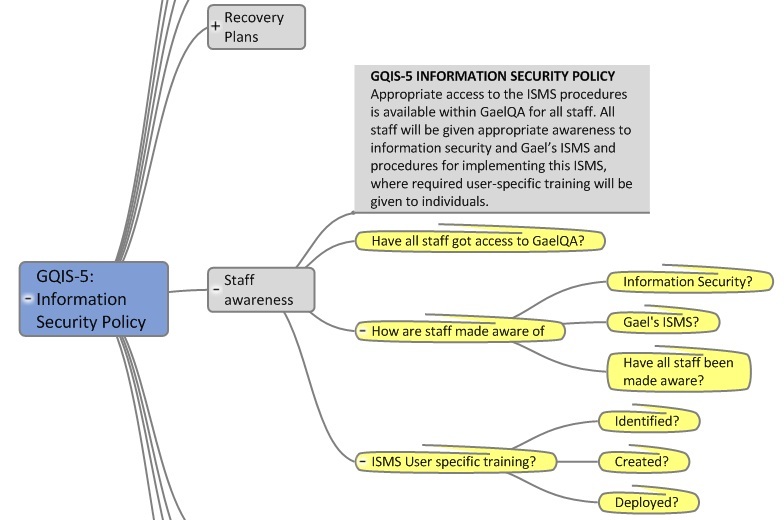 The Viewer allows colleagues and customers who do not have Version 4 to view your maps, and also allows them to add Notes to branches, enabling them to review maps and add comments and feedback to your ideas before sending it back to you. The Department of Health recently issued guidelines for office workers on the amount of time they spend sitting down and the benefits of taking regular exercise in order to combat rising levels of obesity and increase mood, as in the modern workplace, many of us forgo lunch and spend much of the day sitting down. 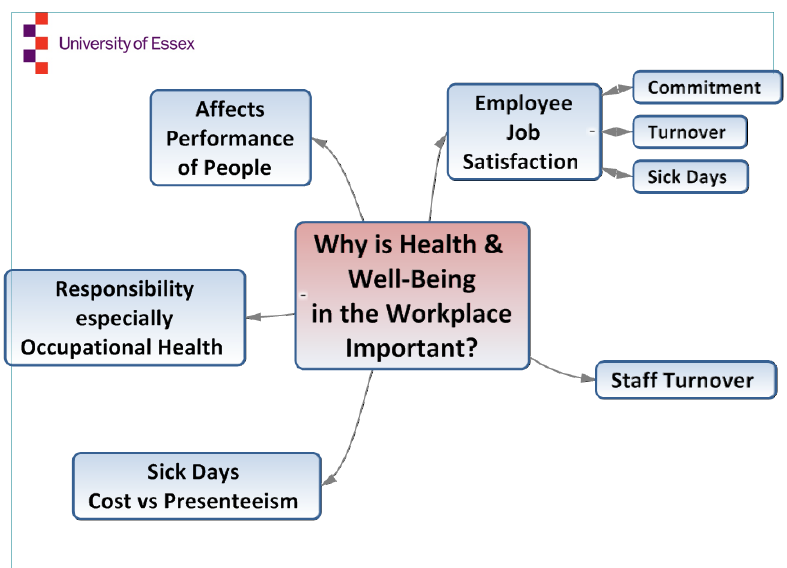 Dr Valerie Gladwell, a Senior Lecturer at the University of Essex is researching health and wellbeing in the workplace and recently had to present on this topic at a breakfast meeting given to businesses by the University of Essex. Valerie is the daughter of John Bothams, Senior Lecturer at Strathclyde University Management School, and long-time MindGenius evangelist. 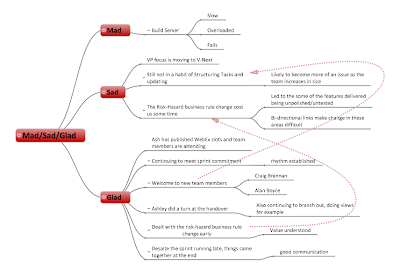 Through a process involving an exchange of e-mails and spider diagrams she drew, I started to develop in MindGenius what I thought were her key messages. I felt important that each slide would show the whole picture, but each facet could be highlighted as she discussed it in greater detail. The main aim was to ensure the audience grasped that the integration of the ideas was important, without having to over-emphasise that integration. 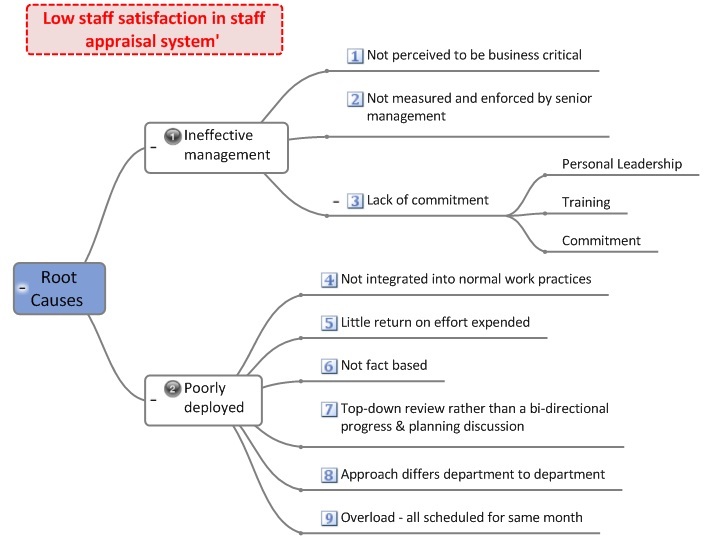 An example of this was the link between the employer's legal responsibility and how improving health and well-being would also help business performance. Another nice example was how the benefits spread from the individual employees to the work group and then on into the community via the family- i.e. the business then can fulfil some of its other responsibilities. The talk received some excellent feedback. 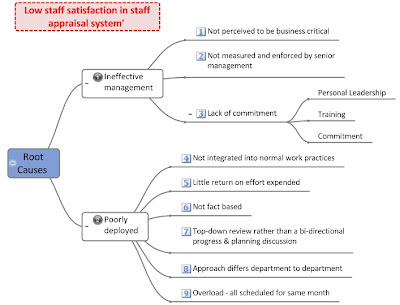 o the business case for how staff wellbeing can be of benefit to the business itself. 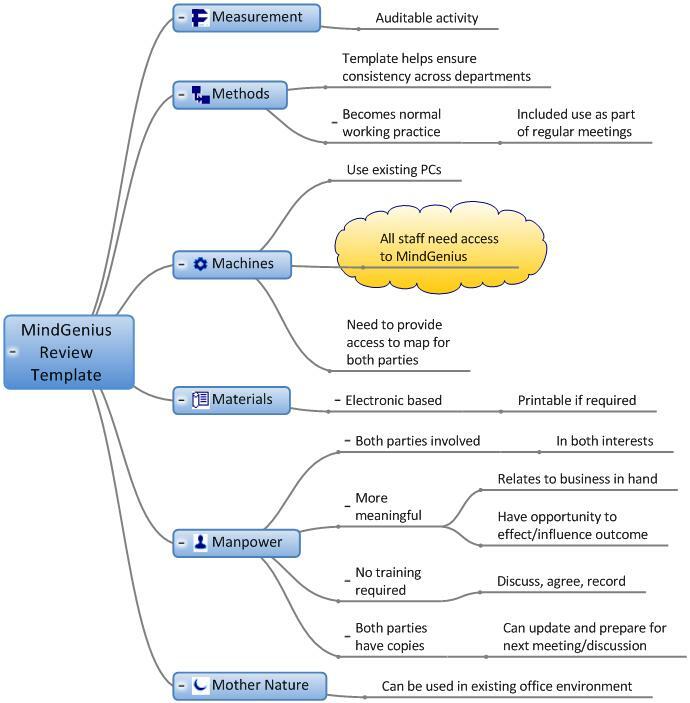 For me the fact that MindGenius is at core a ‘thinking tool’, rather than a drawing or presentation tool, meant the presentation slides were built directly from the thinking and were not a separately produced illustration of that thinking. This meant Valerie’s critical mental connections were securely locked in and could not be accidently omitted losing the overall logic and integrity of her thinking. 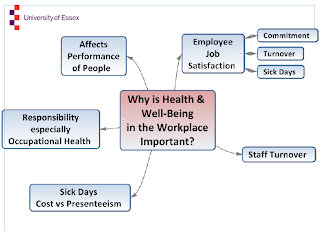 Please do download the talk but more importantly if you are an employer or an employee please do heed the messages about well being in the workplace and how it can benefit all concerned. 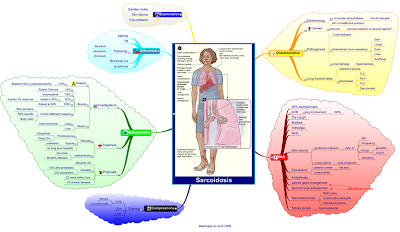 Mind Mapping, or pictorial diagrams of ideas, has been around in one form or the other for thousands of years and in its modern format since the 1960’s. 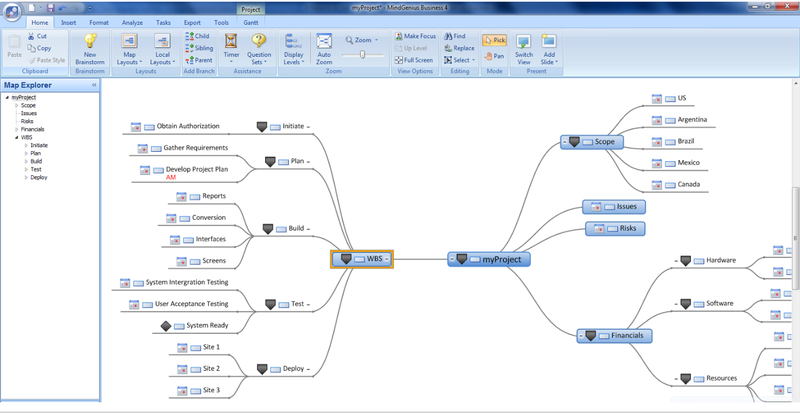 Since then it has been recognised as a study technique, and MindGenius, since its launch in 2001, has been used as a study tool with particular relevance in the Assisted Learning field. 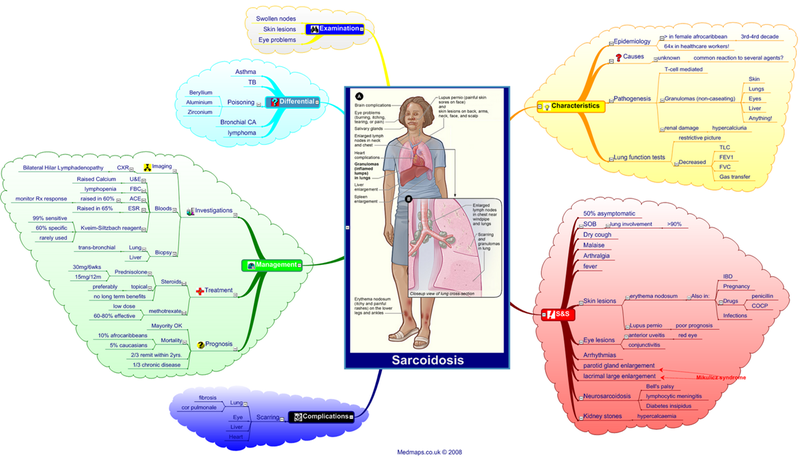 Its use at University level has now changed to include many diverse uses for Management, Students, and Classroom Learning. 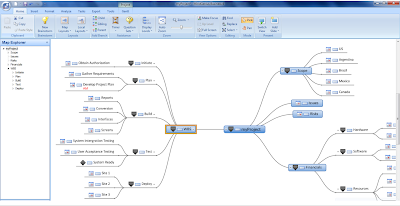 Mind Mapping software really can make a difference in Education and MindGenius have now put together a comprehensive PDF of real life customer stories that outlines how MindGenius can help at University and College level. 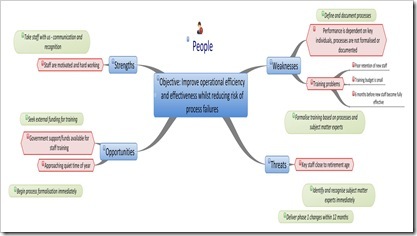 It covers uses such as creating stimulating collaborative learning sessions, mind mapping for medical students, thesis research and delivery, and managing PRINCE2 projects. Download a free copy now and let us know if you have any stories from your University or College that you would like to share. We would also like to share this information between different Universities and Colleges what do you consider the best forum to use? Would it be Facebook, a LinkedIn group or some other medium? Would you be interested in taking part? 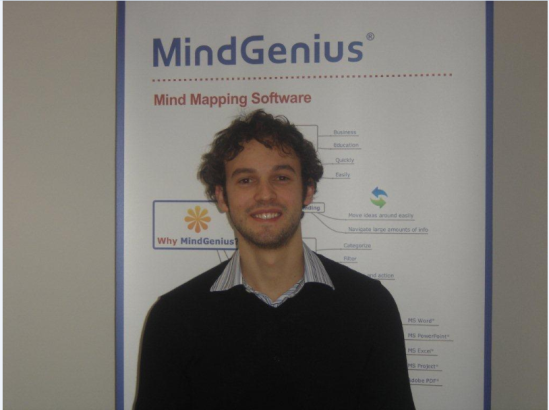 My name is Simon Paterson and I’m the Social Media Champion at MindGenius. This month I am taking you through the top 5 articles, news, tweets and Facebook posts that came our way in July. 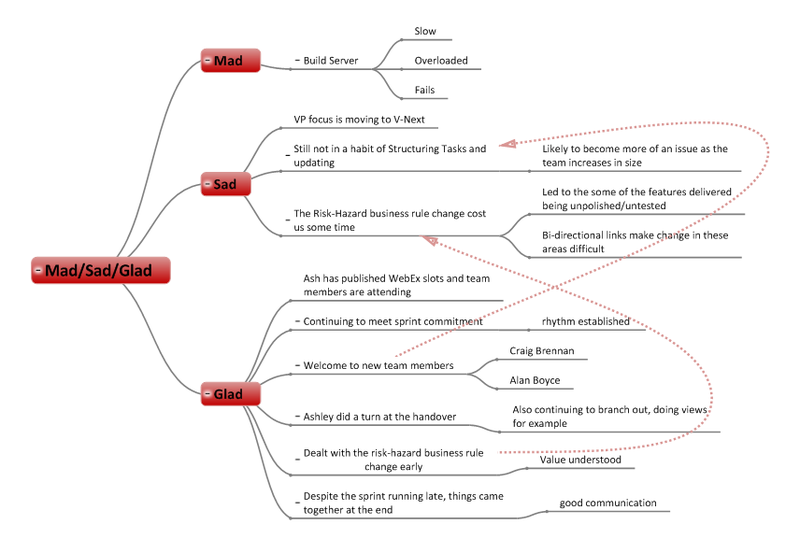 1) Chuck Frey, the author of the influential Mind Mapping Software blog ran a survey on Mind Mapping Trends. He is currently collating the results of the survey so look out for them over at his blog. We will also be publishing them via our social media channels. 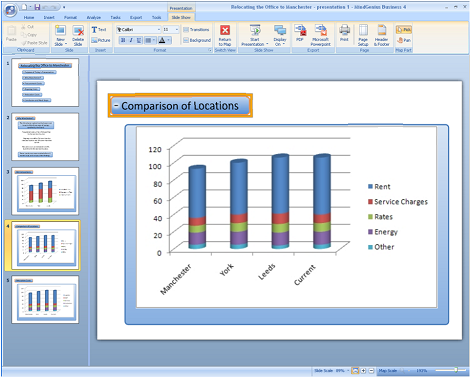 2) Steve Rothwell over at Peace of Mind wrote an excellent article concerning the designing of presentations through MindGenius. He provides several solutions on how to improve presentations and a step by step guide on how to create a presentation with MindGenius. Check out his article. 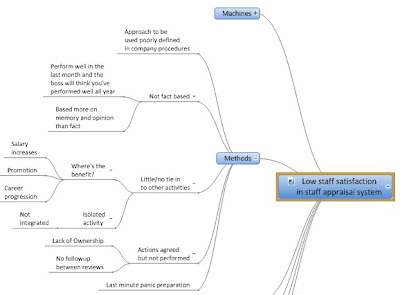 3) Love to brainstorm but don’t quite know the best practices? 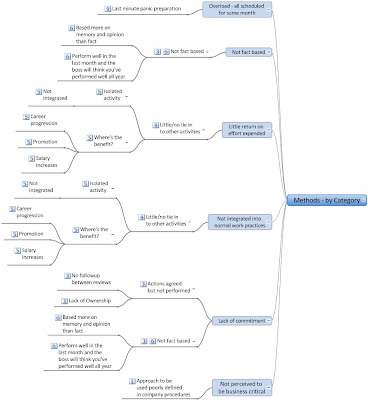 Here is what Gijs Van Wulfen believes are the 25 Rules for a perfect brainstorm. 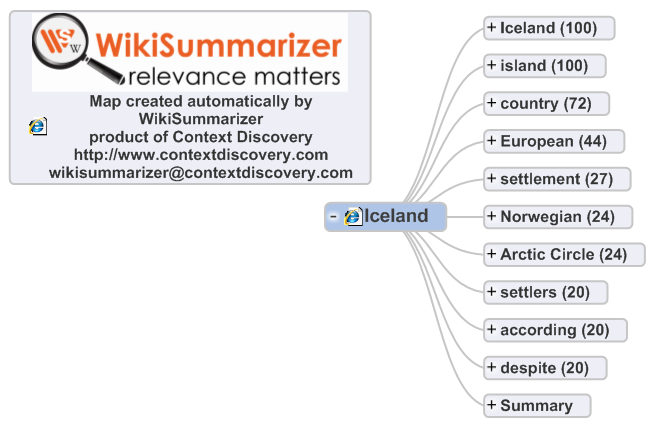 4) Philippe Boukobza from visual-mapping.com created a collective intelligence presentation using MindGenius. See how he got on below. 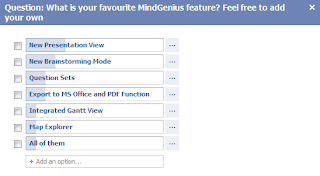 5) Over on our Facebook page, we created a quick poll to ask our users what their favourite Feature of MindGenius is. Head over to our Facebook page to see the results. I'm a great believer in being well prepared for important work activities. Sure, there are times when you have to fly by the seat of your pants, wing it, take a chance. But if you have the opportunity to prepare, then take it. Some say you need luck to succeed. More often than not, luck is what happens when preparation meets opportunity. So this month’s topic is about preparation, audit preparation to be specific. There are many types of audit. I will be using a conformance audit in this article. Conformance audits provide management with invaluable feedback on what is actually taking place in the workplace as opposed to what the procedures/regulations say should be happening. 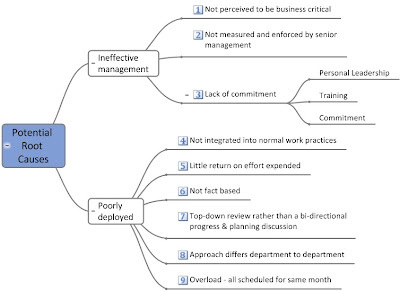 Such information is vital as it allows management to manage rather than react. When I am tasked with performing an audit, my first step is to understand what is involved in performing such an audit and to size the task so that I can make arrangements accordingly. 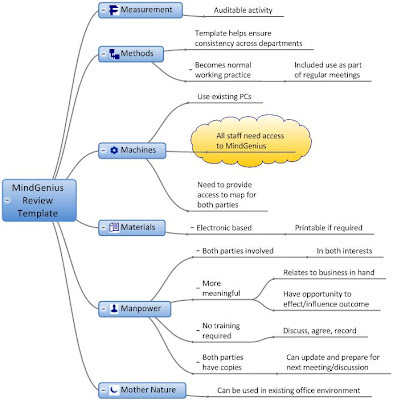 I use the following MindGenius template in the planning stage of the task. Most of these activities, though essential, are fairly straightforward. Once you understand the scope of the audit, the critical task is to identify what to look for - the specific activities you will need to review and assess when performing the audit. To add to the challenge, compliance audits tend to be a one-pass event. 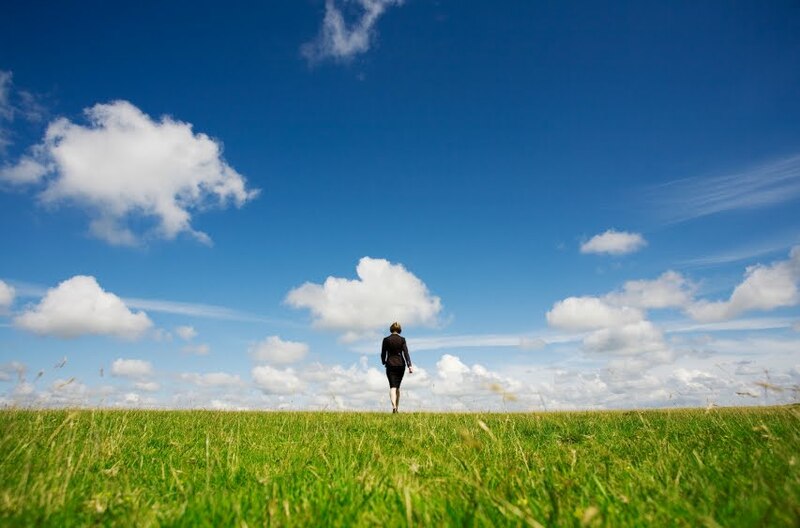 You ‘walk the job’ (normally in the workplace) observing, asking questions, looking at records, identifying and following the trail of possible non-conformances and collecting evidence of conformance (or not) as you go. Once the audit is finished, it's usually finished. You don't really get to have two bites at the cherry. Also, you may not be an expert in this field. You may be asked to audit in a strange environment, perhaps in an industry sector that is not specifically your area of expertise. For example ISO9001 auditors can cover a wide range of industry sectors and types of companies within these different sectors. 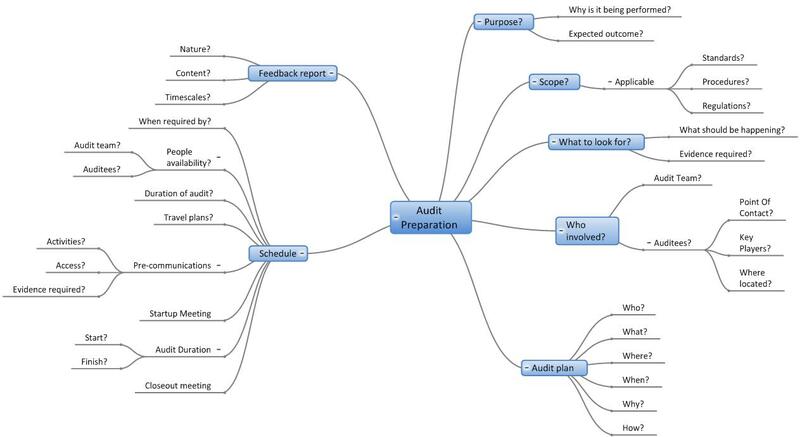 So how do auditors identify what to look for and prepare to actually perform the audit? 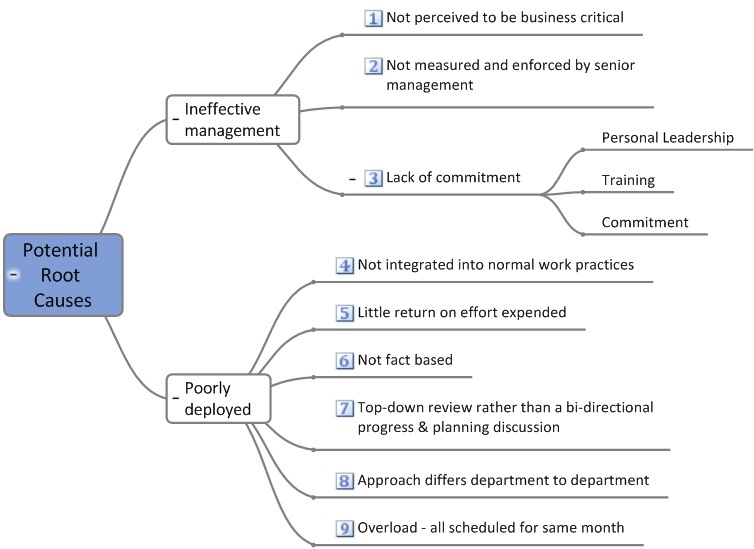 The use of checklists is a well proven approach. 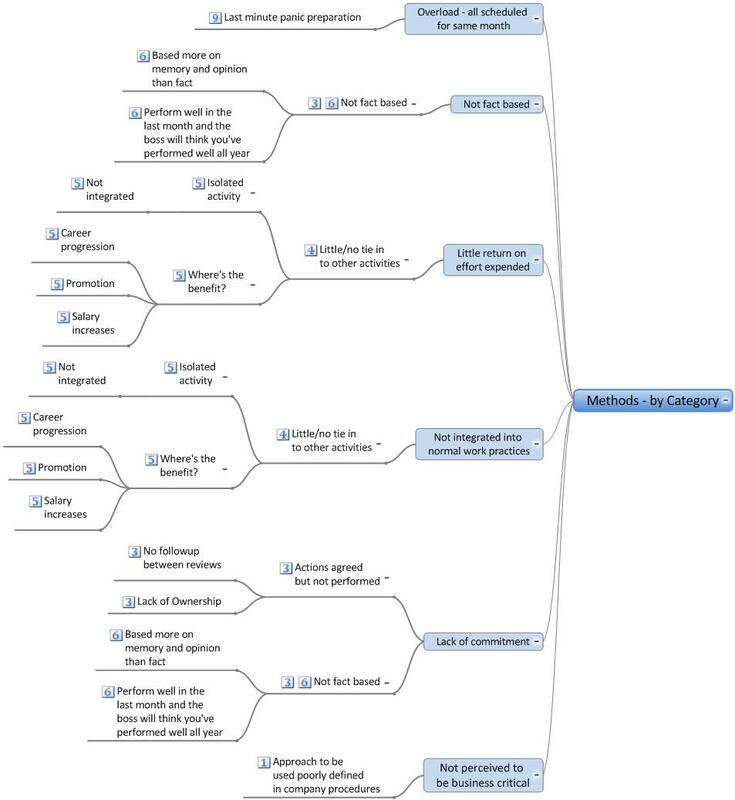 I use an 'anatomical' MindGenius checklist approach. 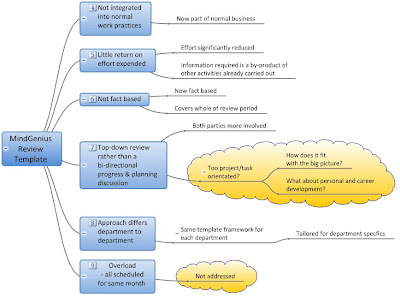 I develop a skeleton map from the standards, procedures etc that I identified when scoping the audit. 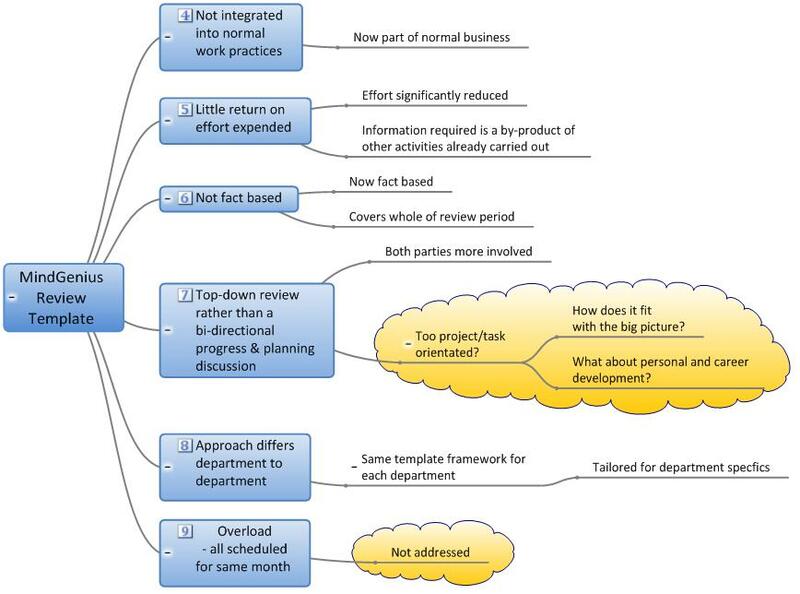 This provides the framework for my audit checklist, the bones if you will. As I perform the audit, I add my observations, comments and details of evidence to the bones. I flesh out my map. 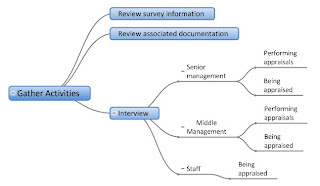 First, I break the applicable areas of the related standards/procedures/ regulations down into their main sections and construct the skeleton, or framework. 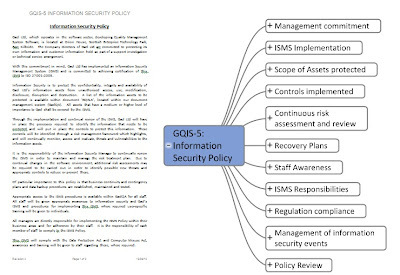 Standards and regulations tend to be structured by sections. 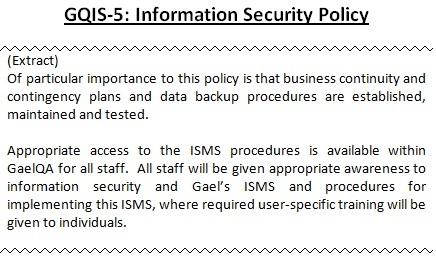 However an organisation’s own procedures may not be so well structured. If that is the case, I break them down into sections as best I can – you have to work with what is provided. The main sections act as groupings which I break into further sub-sections if required. I add the text from the scope documentation so I can see specifically what the requirement is. I then add questions and evidence that would be required to demonstrate compliance with a stated requirement. This is particularly important if the scope documentation merges multiple requirements into a sentence or paragraph as it can be easy to miss a particular requirement if they are not separated out. If detailed in the scope documentation, I assign a resource (the title of the person responsible) to the appropriate branch. This allows me to filter the map based on a specific job title. 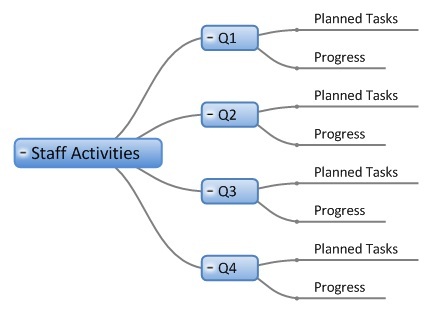 So if I meet with a specific individual, I have a map of all the specific activities that they should be performing and the questions I should be asking them. Now that I have my skeleton map, I can use it to add my comments, observations, evidence and findings as I perform the audit. Essentially I am adding flesh to the bones of the skeleton. That’s how I do it in its simplest form, but as you no doubt know, doing it for real can introduce some challenges that need to be overcome. 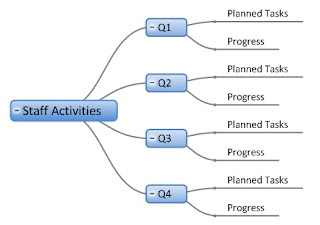 So, having created my skeleton map, how do I use it as a checklist for the audit? When ‘walking the job’ it can be impractical to use electronic devices. E.g. battery low, system hangs, high/low ambient light, etc. If it can go wrong, it will go wrong – Murphy’s Law. 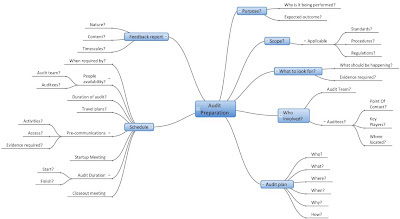 Also using an electronic device can appear rude to the auditees and can detract from listening and observing - key skills in performing an audit. So I often use paper. Yes, paper. You use the tool that's best for the job to be tackled. I paginate and print out my skeleton map in usable sized chunks. As I do the audit, I make quick hand written notes. Obviously there is not enough room in a map to write an epistle. So If needs be, I write it in a notebook (or in an available area of space on the map) and assign a letter to it. I then put the letter on the map as flesh. So what benefits does this give me? 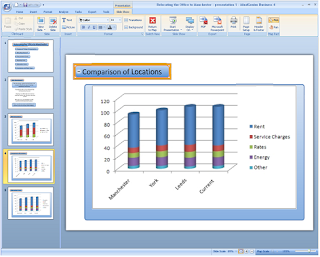 • The paper based approach is often quicker and less intrusive than using electronic devices. Also no techno gremlins. • Auditees, for their own reasons, would prefer to have a successful outcome to the audit, so they may 'dress' up what they show or tell you. The skeleton map helps to identify the flesh devoid of its dressing as it asks for specifics. 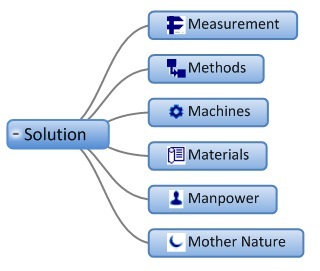 • Can talk to an individual about everything they do or follow a given process flow as I can add evidence as it occurs rather than having to follow a specific agenda/approach. If needs be, I can chop and change my approach to the audit on the day depending on what I find. • Keeps me on track. Let's me know when I am deviating/going outwith the scope of the audit as there are no bones to attach the flesh to. • If there are no bones to attach the flesh to, this could also indicate that there are gaps in the associated procedures. • Audit goes more smoothly as the auditees see that I am prepared. I come across as more professional and knowledgeable in what I am doing, and also in what the auditees should be doing. So that's my ‘anatomical’ approach to audit preparation. Develop a skeleton framework and add the flesh as you discover it. 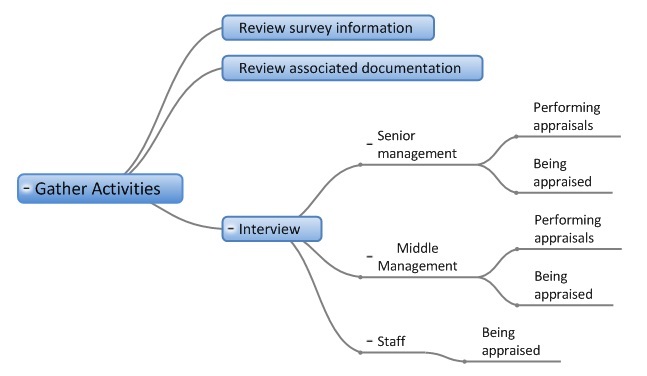 This approach applies not just to audits but to any activity where you can identify a framework and need to identify if reality adequately fits the framework. So you can use it for inspections, reviews, assessments etc. For example when people review a document for approval they more often than not read what is there and assess what is present. But what about what isn’t there that should be there? 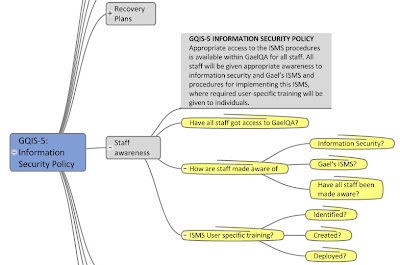 A skeleton map of what the document should contain then fleshed out with the document content can significantly help you identifying such gaps. I hope you found this article of interest. As ever, if you have any comments or queries, please don’t hesitate to ask Gordon.